Very nice pics. Welcome to CR. Thanks Click and Mr Bean. The BIF was a fluke, but a nice one, the fast focus of the 500 helped, but I had actually focused while the bird was still and thats probaly why its slightly oof. My favorite is the second pic, but yeah that first one is very nice too, there are several more from that sequence as the bird hopped along that branch looking for grubs to eat. Dolina... they are really great photos... showing (off!) very well the wonderful poential of that lens. Thanks for sharing... good job on them. I love the colours and depth of field you've used. Will look at some more of your photos on flickr when I have more time (I'm in my lunch break at work). McTool - welcome! I really like your bird shots with the 500L too. Autumn a bit over a year ago (March 2012) here in in Adelaide, SA, I took several photos of Wattle Birds, New Holland Honeyeaters and a Willy Wagtail - that patiently allowed me to get quite close to them. I had my 70-300mm L (so won't post on this thread). I was happy how many BIF of mine worked out. Thanks for sharing all, and I look forward to more photos from Canon's amazing 500mm L f/4 L lens. I would be very tempted to get the 200-400mm L f/4 1.4x lens for wildlife & birding, I think it would do a great job (I love the flexibility of zoom lenses often when outdoors taking photos of aspects of nature - eg landscapes, wildlife, birds, etc). I'd love to get the 200-400F4 +1.4X, am going to wait to see how the price holds and what other things Canon release, including the much rumoured 100-400 replacement (which was sold to part fund purchase of a very crispy newish 300F2.8 secondhand). The 200-400 is still very hard to get anyway. pj1974 & canon_convert thanks I love to please. Feel free to checkout my photostream at http://www.flickr.com/photos/alabang/ and add me as a friend. 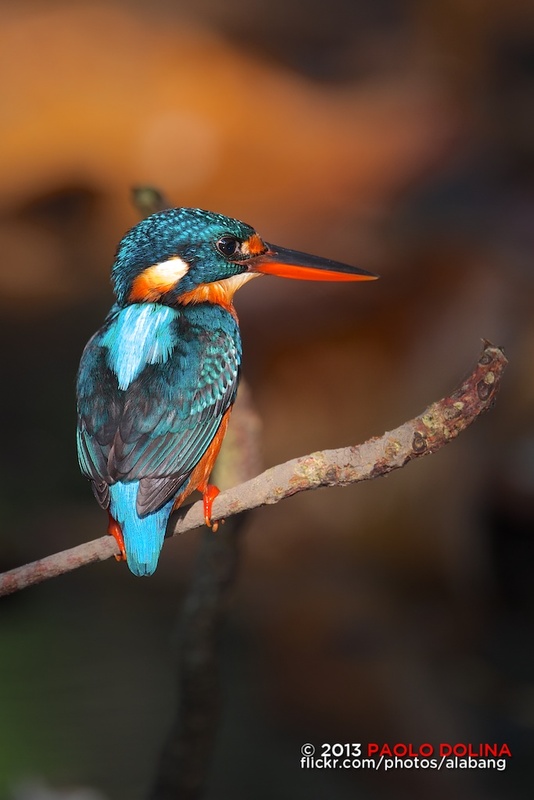 Steve, lovely images... I also shoot wildlife. 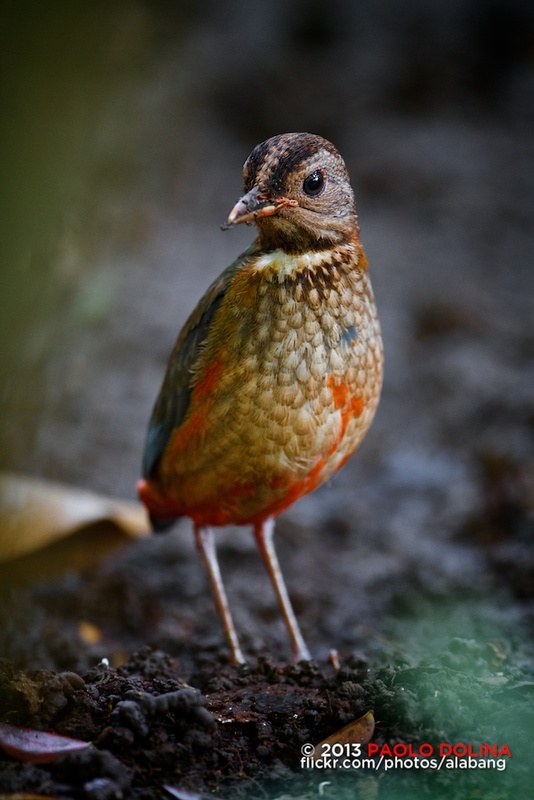 The Red-bellied Pitta (Erythropitta erythrogaster) is a species of bird in the Pittidae family. It is found in Australia, Indonesia, Papua New Guinea, and the Philippines. Its natural habitat is subtropical or tropical moist lowland forests. This is exquisite! I love the colors. 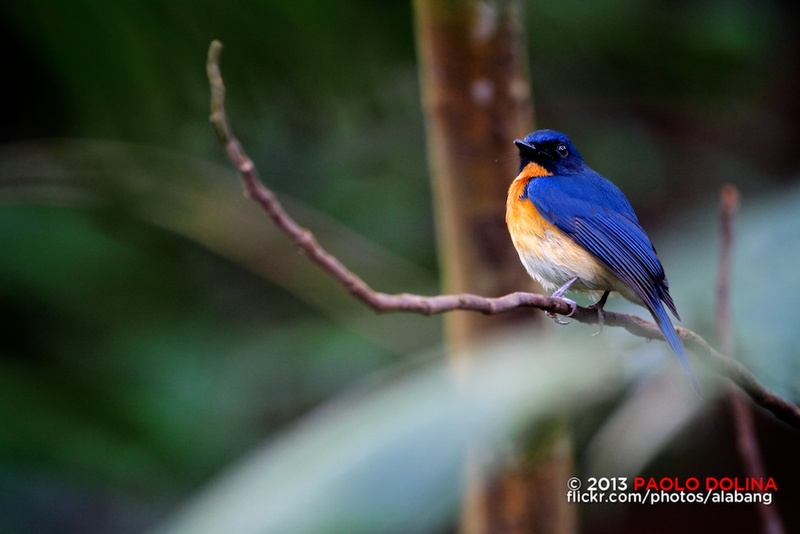 After taking the photo of the Indigo-banded Kingfisher at the horse stable I was led by Roddel to this lifer (bird watcher talk for a bird you either first seen live in the wild or photographed live in the wild) Mangrove Blue Flycatcher (Cyornis rufigastra) on the opposite side of the hill. By initial description given to me by Roddel I was expecting an Common Emerald Dove (Chalcophaps indica). Incidentally there I met Gerald, the founder/owner of Istorya.net who was looking for a Red Bellied Pitta. 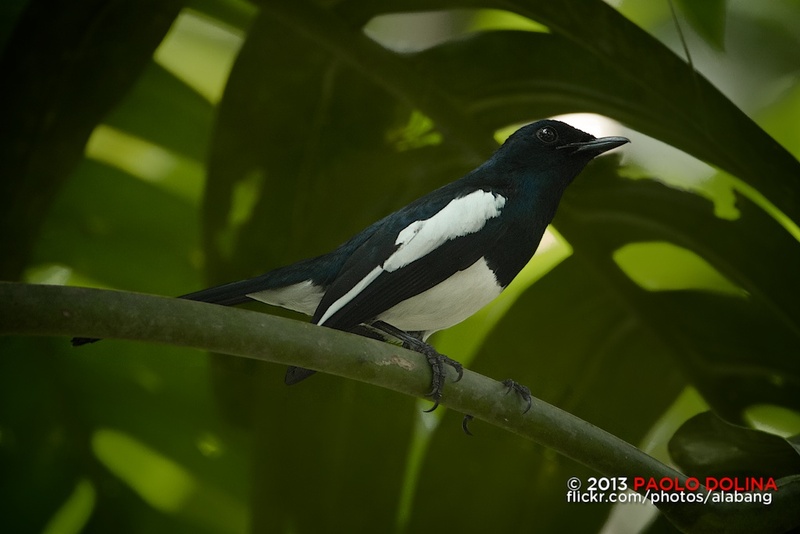 The Philippine Magpie-Robin (Copsychus mindanensis) is a species of bird in the Muscicapidae family. It is endemic to the Philippines. It previously was considered a subspecies of the Oriental Magpie-Robin. I almost did not bother taking a photo of this Philippine Magpie-Robin (Copsychus mindanensis) thinking this was just another Philippine Pied Fantail (Rhipidura nigritorquis) that is extremely difficult to photograph because it rarely, if ever, stays still. I was also disinterested in picturing the Fantail here because I can easily do it from the comfort of my backyard. What peaked my interest was its behaviour of staying rather stationary in the trees and it not spreading its tail into a fan. Another thing that caught my eye was the white and black feathers being of a slightly different pattern. Anyways, for those curious this is another lifer for me and what is more an endemic bird that can only be found in the Philippines. For those who would want to take a photo of dark feathered birds you generally need to overexpose by 2-stops to get the bards to show up but you have to be mindful of balancing it out to consider the white feathers as well. Nice photos again sir. I hope I can go for photo shoot once I'm back in Philippines. Another great shot Paolo. It's always a pleasure to look at your pictures.